of the region's 6 million acres, nearly half of which is constitutionally protected to remain 'forever wild' forest preserve. * Composed primarily of ancient rocks (granite) more than a billion years old, the Adirondacks are "new mountains from old rocks"
Are you an existing (US/International) Craft Brewery/Distillery, Master/Asst Brewer or Home Brewing* dreamer? *How do you think Jim Koch, Ken Grossman, Gary Fish, Greg Koch & Kim Jordan got started? If you want to site a new brewery and insist on access to plentiful, soft, pure, (& cheap) 'forever wild' water. 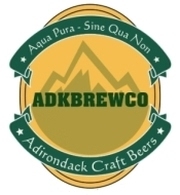 And, you want to brew very special, world class beers; You are in the right 'place', the ADKs of N NY! Why here? Why site in/around the 14 ANCA 'Blue Line' Counties of the Adirondacks?